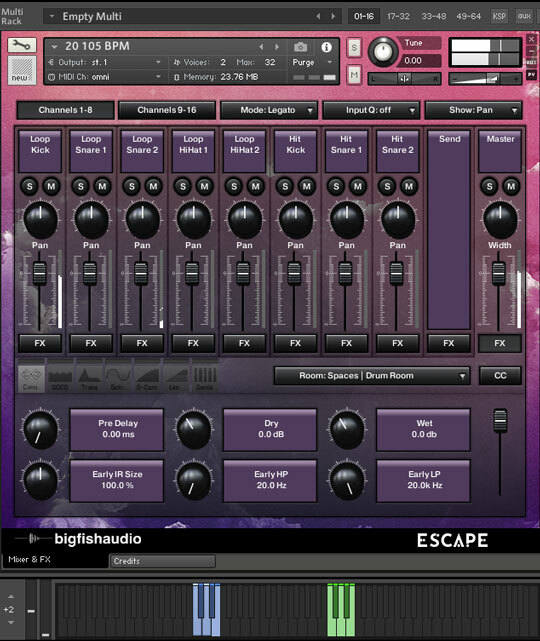 Kontakt 5.7.1 is required to use the Kontakt 5 instrument patches in the KLI version of this product. This product does not work with the free Kontakt Player. 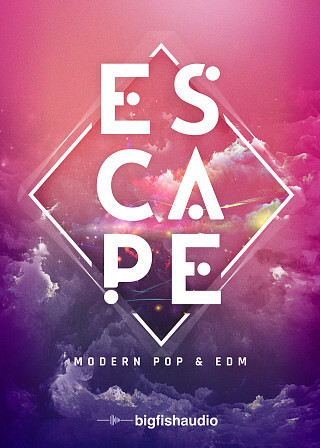 Escape: Modern Pop & EDM is here and boasts 50 Construction Kits of festival-ready tracks. 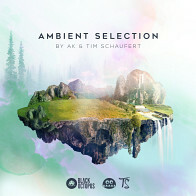 Produced in the styles of Zedd, Tiesto, Slushii, NGHTMRE and more, Escape is sure to keep you creatively inspired. 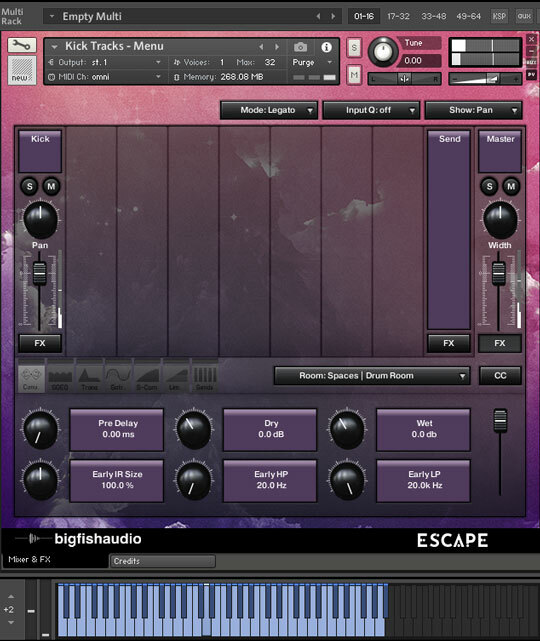 With 3.4 GB of content to work with, Escape has all the synths, baselines and hooks needed to get your production rolling. 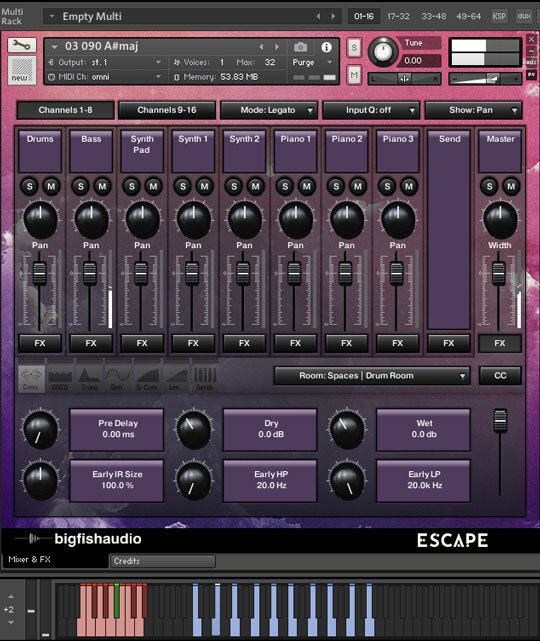 Escape: Modern Pop & EDM has been formatted in all the industry standard file types: Apple Loops, Acidized WAV and REX. Every piece of commonly used hardware and software will be compatible with at least one of these fully developed and usable formats. Drum Kits - These patches include all multi-track drum loops (starting on C2) and one shot samples (starting on C4) of a particular kit giving you complete access to customize your drum tracks. Drum Menus - These patches include all single hit drum samples and loops divided by kit piece (starting on C0) giving you complete access to create your own custom drum parts, and easily demo different samples in a pre-set midi pattern. 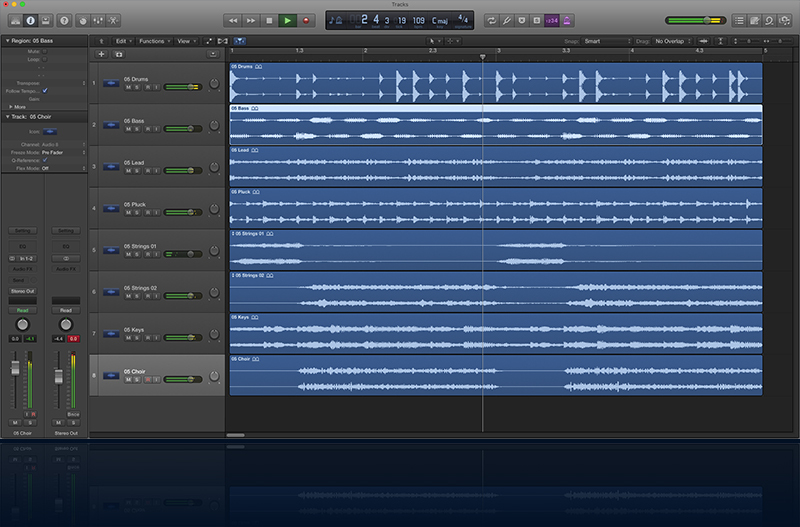 For example, the patch titled "HiHat Tracks - Menu" will have all the HiHat loops from the product laid out on the keyboard for quick and easy demoing. 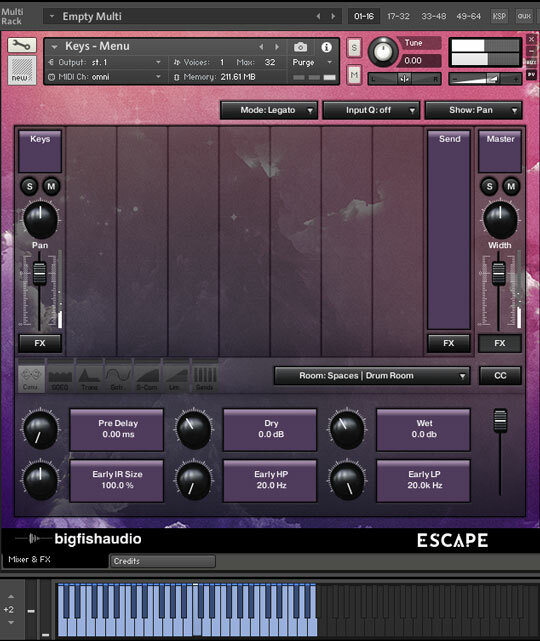 • You must have a FULL version of Kontakt 5.7.1 to use this product. 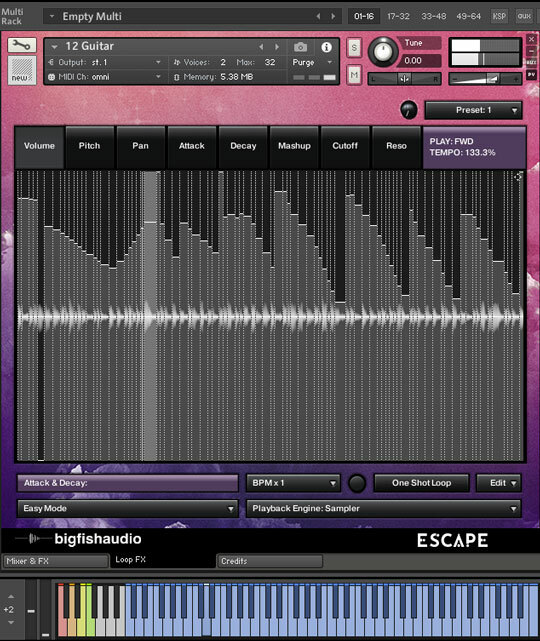 The Following End User License Agreement is included with Escape: Modern Pop & EDM. 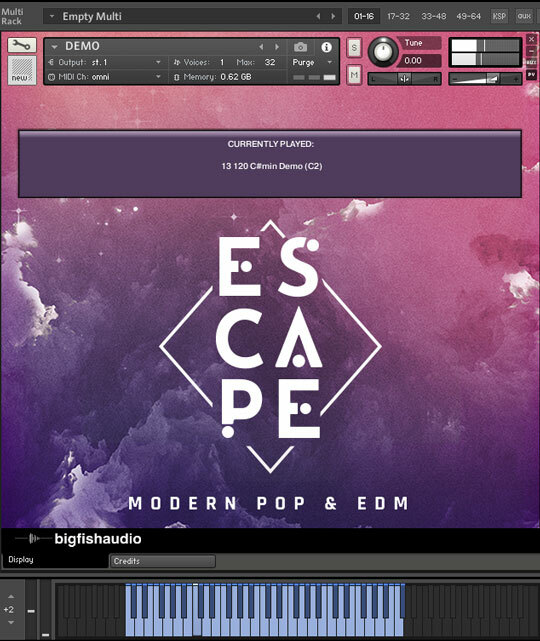 This License is only valid for the individual who has purchased an unopened, new and lawfully made copy of Escape: Modern Pop & EDM from a dealer or distributor authorized by Big Fish Audio.